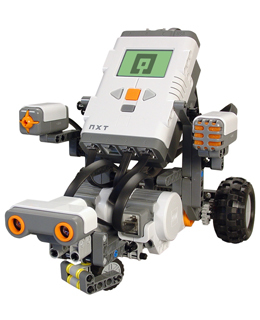 In today’s rapidly changing world, Robotics is earning value in the field of education as it develops the life skills such as critical thinking, problem solving, decision making and teamwork among the children. Our mission is to promote Science, Technology, Engineering and Mathematics (STEM) learning through Robotics courses and labs that helps students to adjust their focus to gain the life skills which is imperative to solve real time problems. IkenRobotica is dedicated to motivating today’s children with encouragement when the going gets substantial. We train to flare young mind’s interest in Robotics by experiencing a fun learning environment while simultaneously inspiring innovation and creativity. IkenRobotica brings the exciting and educational world of ever-changing technologies into one classroom which add to a child’s learning experience thereby molding them to become technologically competent.